In this blog post I would like to shed some light on key nutrients needed for muscle recovery post-workout. I would also like to point out that specific timing is recommended to maximize the beneficial properties of these nutrients. Initial muscle recovery occurs within 2 hours of the workout, but many trainers and nutrition professionals recommend a well-rounded meal with in 1 hour of exercise discontinuation. Read on for the specifics! During exercise, our bodies use glycogen (i.e. glucose stored in muscles and the liver) and glucose from food to obtain energy. Breaking down fat for energy is a much slower process, so our bodies tend to burn fat when we are at rest and do not need immediate energy. This is sometimes referred to as the ‘after burn’, because we burn the most fat after we are done with intense exercises. If we run out of glucose during exercise, we experience sudden lethargy and fatigue which could be dangerous if we are miles deep in the backcountry or clinging to a rock wall. This is the reason people carb load the day before a competitive event, so that glycogen stores are stocked up. It is vital to our recuperation process that we eat carbohydrates following exercise because it reduces muscle degradation, especially when combined with high quality protein. How much carbohydrate should be consumed post-workout? The recommended intake for recovery is 0.8–1.2 grams of carbohydrate per kilogram of body weight per hour during the first 4–6 hours. This equates to roughly 2-3 grams of carbohydrate per pound of body weight. The first 2 hours of the recovery period is the most important. So, for a person weighing about 150 pounds, consuming 130 grams of carbohydrates in the first 2 hours is recommended, with additional snacks consumed over the few hours. 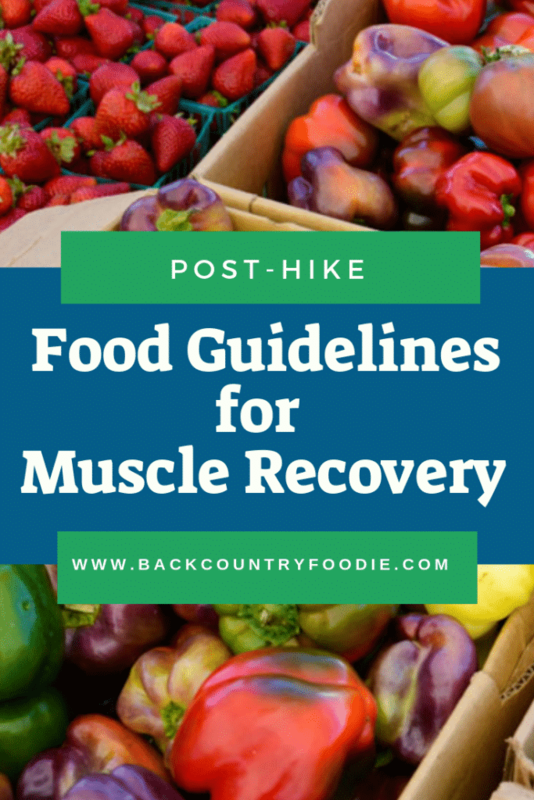 The exception to these recommendations relate to fat adapted athletes or ultralight meal packers who are on the trail for weeks or months on end. In these cases, more fat and less carbs is typically consumed so learning how you body responds and adapts to different eating patterns is essential. How many grams of carbohydrates are in food? Consuming protein post workout increases muscle growth and reduces soreness. How much protein should be consumed post-workout? Most literature suggests that 20-30 grams of protein within 2 hour recovery period is recommended. That is the equivalent of about 1 cup of Greek yogurt, 4 ounces of chicken breast, 1 cup of tempeh or 1 cup cooked lentils. After the initial recovery phase, athletes should continue to consume up to 50 additional grams of protein for the following 12 hours to maximize protein synthesis. What are the best sources of protein to consume post-workout? The most important amino acid that supports protein synthesis is leucine, which can be found in high quantities in dairy and meat products, but also in plant foods such as soybeans, beans, nuts and seeds. Whole eggs and whey protein are known to contain some of the quickest and easiest to absorb proteins. Plant protein powders such as pea, soy and brown rice are great choices to add to smoothies if you are in a pinch. Branched chain amino acid drinks may also be used, though I tend to take a ‘food first’ approach to protein intake. Exercise can increase oxygen consumption by up to 15 times as the amount consumed at rest. This can cause oxidative stress on cells, which in turn creates free radicals that wreak havoc on our bodies. Though our cells are equipped with their own anti-oxidant defense system, consuming foods rich in omega-3 fatty acids and polyphenols can offset this oxidation and reduce the pain associated with inflammation. What are the best anti-inflammatory nutrients to consume post-workout? Vitamin A, C, E, zinc and selenium are strong antioxidants found in a variety of plant and animal products. Research shows that foods rich in polyphenols, such as pomegranate, cherries and berries, can significantly reduce DOMS, Delayed Onset Muscle Soreness. More specifically, the raw juice of such plant foods has the highest impact in reducing muscle soreness. Foods rich in omega-3 fatty acids can also reduce inflammation. Consider using oils such as canola or flax, or eating cold water fish, chia seeds and walnuts to maximize your intake of these beneficial fats. 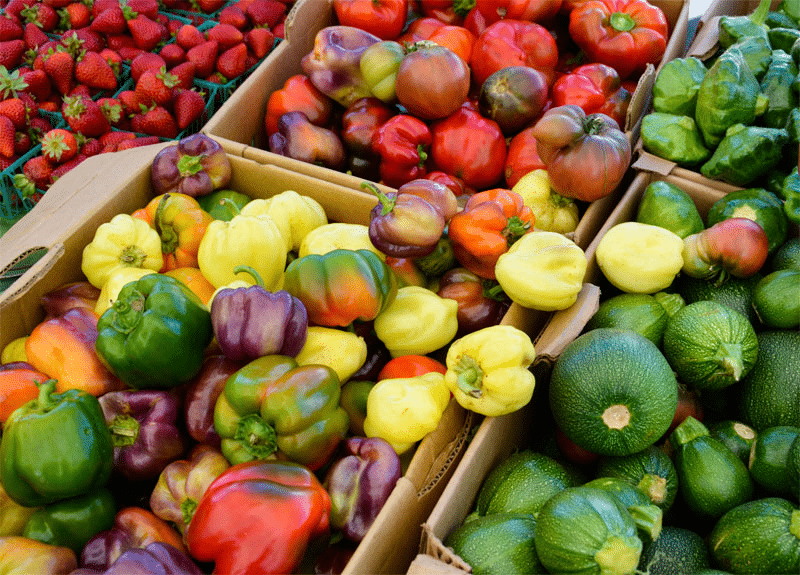 Brightly colored produce, ginger, turmeric and garlic will also supply a bounty of anti-oxidant, anti-inflammatory nutrients that will help you get back on the trail. Kasey Hutchinson, RD, LMT is a registered dietitian, massage therapist and outdoor enthusiast living in the Rocky Mountains of Montana. She enjoys backpacking, camping, rock climbing and backcountry snowboarding every chance she gets. 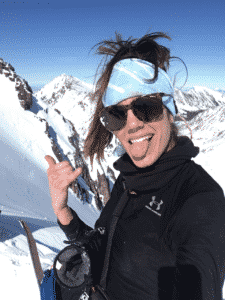 Kasey’s passion for health, nutrition and the great outdoors fuels her curiosity to discover the best foods for backcountry adventures and overall health. She hopes to inspire people to live a vibrant, fulfilling life using outdoor exercise and healthy food as the vehicle for success. For more information about Kasey’s background and services, check out www.vibrantnutritionrd.com. Kasey’s outdoor adventures and culinary tips can also be followed on Instagram. Aragon, A., & Schoenfeld, B. (2013). Nutrient Timing Revisited. Functional Foods,65-89. Campbell, B. (2013). Dietary Carbohydrate Strategies for Performance Enhancement. Sports Nutrition,75-124. Coleman, E., & Rosenbloom, C. (2012). Sports Nutrition: A Practice Manual for Professionals. Academy of Nutrition & Dietetics. Ivy, J. L. (2004). Regulation of Muscle Glycogen Repletion, Muscle Protein Synthesis and Repair Following Exercise. J Sports Sci Med,3(3), 131-138.